Wakatobi is an acronym for the four main islands that, together with smaller islands, comprise the Tukang Besi Archipelago at the southeastern tip of Sulawesi. 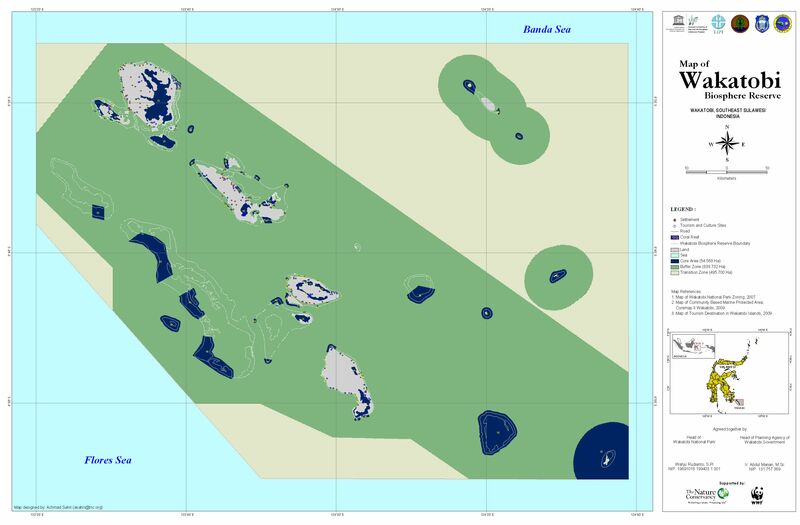 The biosphere reserve encompasses the islands and the surrounding marine area. The archipelago is renowned for the diversity of its spectacular coral gardens. It has a great diversity of ecosystems and numerous species of seagrass, coral reefs, fish, birds, sea turtles, cetaceans and mangroves. 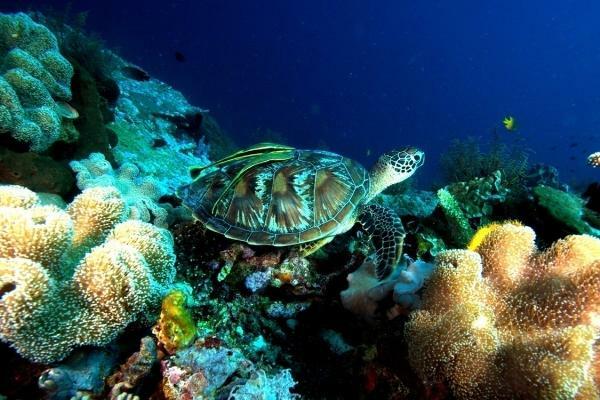 It is the largest marine national park in Indonesia.